Is Tariq Ali's call for a popular front with the rightwing to defend 'high quality education' the way forward? 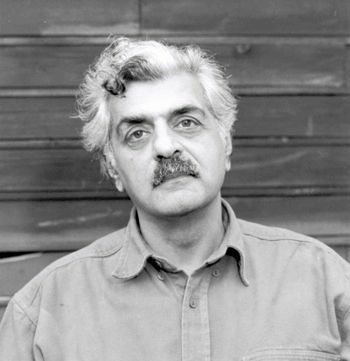 Today was meant to be a talk by Tariq Ali at the ‘Transversal Space’ of occupied Mansion House, Middlesex University. Instead of a lecture, however, people arrived to discover that the whole building had been surrounded by security guards. An injunction had been served to the occupiers by university management, and individual students had been named in the document. These tactics obviously worked, because after holding the entire building for a week, the occupiers decided to leave as a group—using Ali’s talk outside on the lawn as the focus for a post-occupation rally. I am never sure how to feel at these moments. Despite the applause all round—which the students obviously deserved after their heroic actions—applauding the exit leaves me feeling cold. Although the vacation of Mansion House by no means implies the end of the struggle, it provided a focus for activities with a real, corporeal commitment and, crucially, an expropriation of the university’s resources, i.e. its teaching space. The importance of this should not be underestimated. The deflationary feeling was compounded by a bizarrely uninspiring speech by Tariq Ali. Meandering and obviously unprepared, it lacked the fire and brimstone befitting such a militant action. Even worse was the content. Whilst liberal types are wont to bemoan the ‘unrealistic’ radical left, it seems to me that, quite the contrary, the radical left often suffers from far too little radicalism. Ali argued that all students should stand together to defend ‘high quality education’; that vice-chancellors should get a pay cut; and, most disturbingly of all, that a popular front should be formed with the centre and the right to defend public education. Could these words have been spoken by a figure such as, say, Nick Clegg? After all, Tory-Lib Dem ministers have just agreed to take a pay cut. Tick. All profuse a commitment to high quality education. Tick. And all appeal to a broad base of liberal-left and rightwing libertarian sentiment. Tick, again. Surely at an event like this we should pushing exactly the kind of ‘unrealistic’ ideas to give the prefix radical in front of left its worth. These could include, for example: the abolition of all tuition fees and the democratic management of all universities by academics and students. It could also be linked into the wider struggle against cuts across the public sector, which will doubtless become the focus of a working class struggle in the coming years. In general, I would have much preferred to hear more of the occupiers speak—to find out more of what they had learned through the experience, and their thoughts on the way forward. Figures of radicalism past like Ali, weary with the defeats of the 1980s, are probably not what is need to inspire a new generation, or push the ideas needed today. ADDITION: This comment piece has already been attacked as ‘depressing’ ‘lies’ and ‘pre-written by the institute’ (which institute?). I would like to add the obvious observation that Necessary Agitation (NA) has been nothing less than highly supportive of the occupation from the start. NA was there at the first meeting as one of the initially minority voices encouraging the occupation. NA spent the next day canvassing support on the other two campuses of Middlesex university. And it was only work commitments that interrupted further involvement in occupation activities. It is not my belief that we should self censor ourselves at these key junctures. Rather, as this blog will not hesitate to do, it is rather our imperative if we believe in the cause above out egos to engage in critical responses to events. Your description of T.Ali’s speech at Middlesex rings true. After all, he has been a media celebrity for some time, and not a revolutionary at all. A lot of hot air, mostly. You might want to add A World to Win in to your blogroll…. Thanks for these thoughts, NA. I too would love to believe in TA’s vision but it seems too much like a goal or wishful thinking rather than a concrete strategy of any lasting effect; why on earth would right-wing management voluntarily agree to pay-cuts and a fundamental change to their ideology without real pressure? I watched the occupiers leave the mansion too, and my feeling was also of bitter defeat. Without the occupation as a biting-point we will find ourselves back at the defanged leftist moralism of words and condemnation that we know all too well. What should have been spoken on the lawn outside: the intention/plans to build upon this first occupation on a national scale with/without a “popular front”: to synchronize an escalated campaign to re/occupy university campuses nationwide with the help of local student union activists (ie. not console ourselves with the poetry of Brecht). Savemdxphil has shown how simple it is to expropriate a campus building – to valuable effect – but, even more: it has demonstrated how quickly this momentum can be lost in real terms. A radical response to this injunction would be spread this first instance of radical action far and wide in real terms. Hi, yes ‘occupier’ you are right that such an impressive occupation was maintained off the back of so little initial enthusiasm. It seemed that without H’s encouragement the students would probably just left at 6PM that day. Perhaps the focus on Ali was too much. But in any case sooner or later you are forced to confront your politics. Most of the celebs shuttled into Trent Park during and after the occupation are SWP staples like Ali and Callinicos; Claire Soloman from the SWP slit Counterfire was very active there too (and I don’t mean to imply there is anything wrong with that). Its just that its worth having these things out in the open. If there is one thing that is worst about the SWP and their orphans it is their censorious political culture—where all forms of criticism are discouraged and treated as damaging to the cause. You are wrong that any H was responsible for students staying beyond 6pm. If this was the case I would really like to meet him/her/it, because him/her/it apparently managed to brainwash a lot of people into believing we had decided to stay by ourselves. And although there were SWP type speakers at the events organised, none of them were ‘very active’. Apart from in the meeting immediately after the big rally, they made very little contributions in meetings, were rarely around and i’m not sure any of them even stayed the night. Of course criticism should be encouraged, and of course we should think about our politics, but why not criticise the actual limits of the occupation – including an absence of in depth analysis of what this meant politically (partly due to lack of time and numbers), and which we will have to do retrospectively – rather than making the very lazy accusation that the SWP, H (? ), Counterfire or whoever else, was pulling the strings? When you called yourself necessary agitation, did you mean agitation in the sense of rousing people into action or in the sense of annoying them into resenting you? At the moment you’re doing the latter. I don’t think its necessary. Marx, Money, Utopia: What should communism do with money?